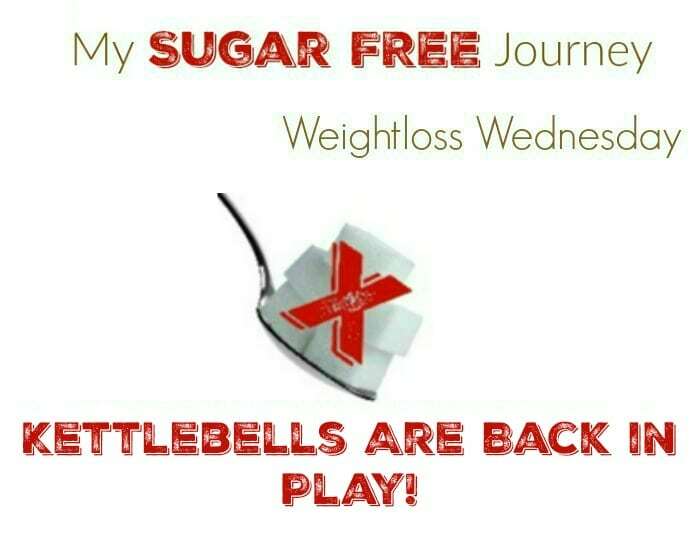 6/14 Weightloss Wednesday: Kettlebells Are Back in Play! It’s Weightloss Wednesday! As of this morning I’m at 205.4 lbs which means I’ve lost 194.6 lbs so far. Not bad but it also means I’ve gotten into a bit of a plateau here as I’ve been right about here for a couple weeks now. Not a bad place to be except I’m about 5 lbs away from where I want to be. I just keep reminding myself how long I sat at 250 lbs without moving to remind myself that it will happen and has always happened before. I just need to keep doing what I’m doing. The exercise part of the equation is back. I took 3 weeks off to let a strained back muscle heal but yesterday I got back to swinging the kettlebell again. I backed up the videos I was doing to an earlier week thinking I would ease into the exercise but it wasn’t enough. I spent all day walking like Frankenstein because of those sore leg and back muscles. I have to say though that it felt awesome to start moving my body again. Other than that, nothing much going on. My diet has been pretty good and the fasting at work is great. It still blows my away how long I can comfortably go without eating although the night I did the kettlebell exercises I had to eat a bit of cheese to tide me over. PREVIOUS POST Previous post: The My Sugar Free Journey Podcast – Episode 41: Danielle Natoni of I Am Fit and Funky!